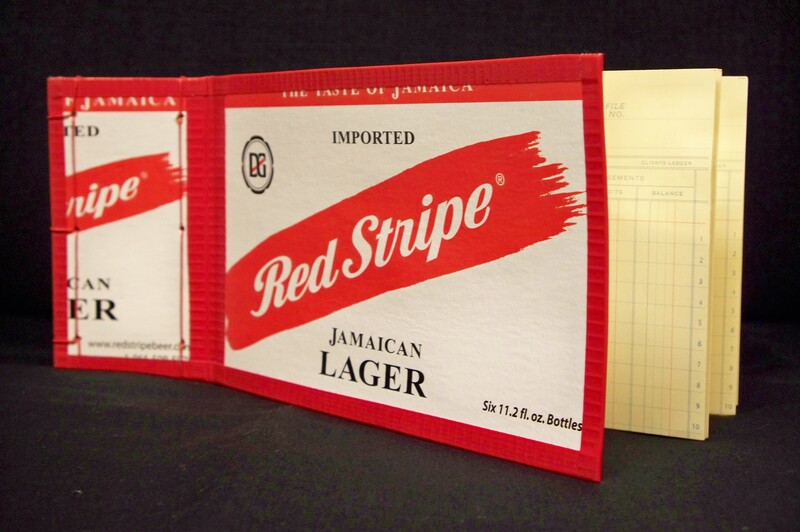 "Red Stripe" Beer Brewing Log, 4 7/16" X 10 3/16"
I have started making books and I love, love, LOVE the process. Both my son-in -law and a friend are beer brewers. I think that the graphics on a lot of 6-paks are really wonderful. This is a perfect way to repurpose these throw-away items. I just hope that they are useful as I don’t know if the brewers make notes on their brewing processes, successes and occasional failures. I used ledger paper found in an old hard-cover ledger that I bought at a thrift store for a couple of bucks. The edges are bound with Duct Tape and the stab stitch binding is made with waxed hemp. Below is a view of the partially-opened book. Here’s another book that is very much tongue-in -cheek. I like to have fun! This one is a craft journal using Kraft paper for the pages. This is my first attempt at sewing signatures and using first and last pages glued to the covers. I need some more practice with that as the signatures are a little loose. Blue Duct Tape finishes off the edges. Vintage buttons and cording I made from thread form the closure. 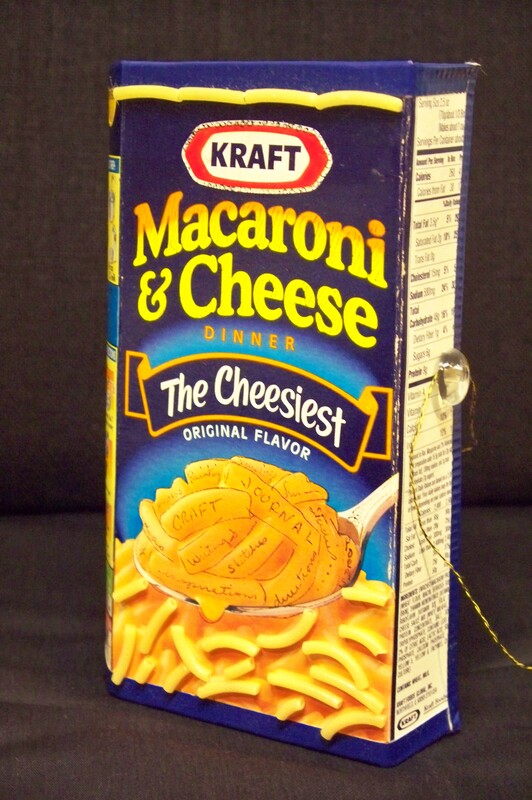 Real macaroni are glued to the front. 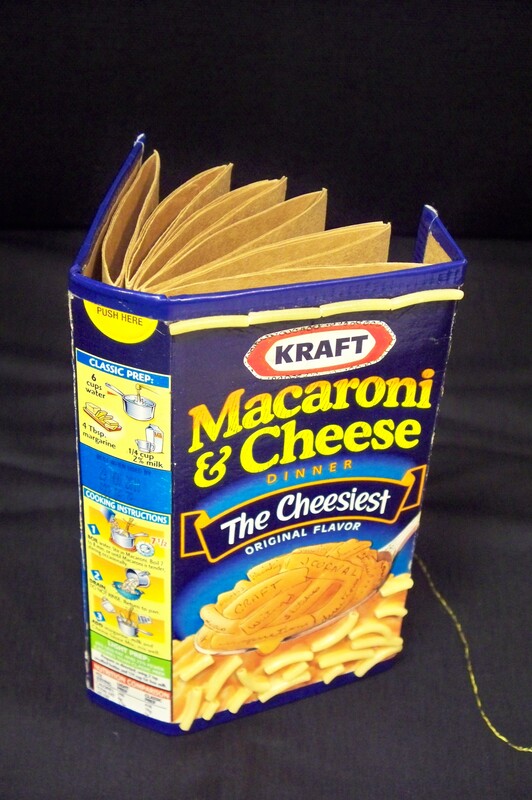 Have you made any repurposed books such as these? I would love to see them! 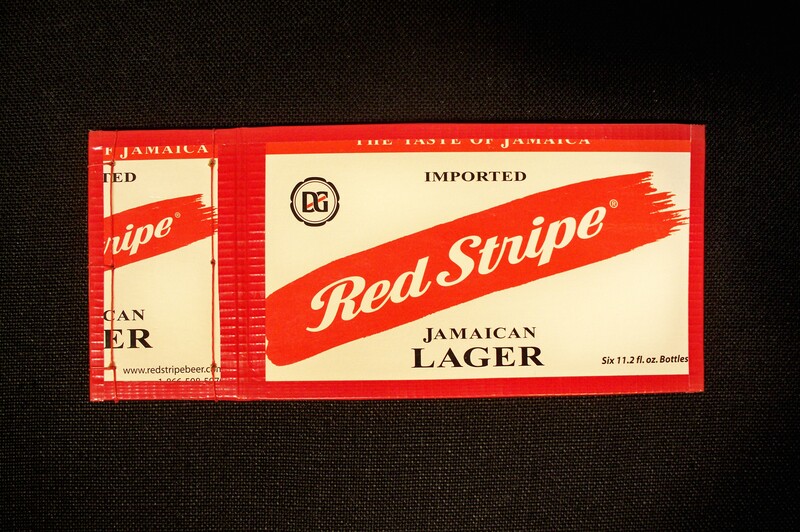 This entry was posted on July 28, 2010 at 11:52 am and is filed under Artist Books with tags artist book, artist journals, artist's books, beer, beer log, books, brewing, brewing log, journals, repurposing. You can follow any responses to this entry through the RSS 2.0 feed. You can leave a response, or trackback from your own site.